Can Braces Change Your Facial Appearance? The short answer to the title question is yes. Braces can change the appearance of a patient’s face (key word is “can”). However, there are a few concepts to consider this understanding. Sometimes our patients at Yuba City Orthodontics have preconceived ideas about the nature of facial changes. Many of these notions are based on urban myths and misconceptions. We invite you to read this brief about how and why braces change facial appearance. Crooked Teeth – Incorrect spacing and direction of teeth can affect the look of outer mouth tissues like the cheeks and lips. 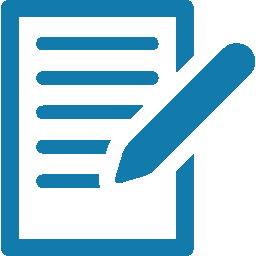 Open Bite – A bite that appears to not close is classified as an open bite. This leads to the visual effect of a jutted upper lip. Overbite – This condition gives the appearance of a lifted upper lip and sunken cheeks. Underbite – As the opposite of overbite, the chin emerges prominently becoming the focal point of the face rather than the eyes and mouth. While the most important part of braces is oral health, having a great smile is a great compliment. In fact, many or patients get braces for the sole purpose of improving their smile. If your smile is affected by any of the above-listed conditions, it is likely that you may experience changes in your facial symmetry. Have questions? 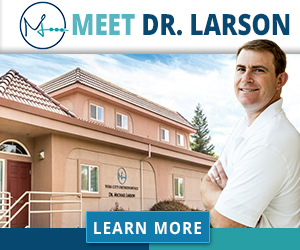 Set up an appointment with us today for a complimentary consultation with Dr. Larson! Are you self-conscious about your smile? Many patients that visit Yuba City Orthodontics for the first time are as well. However, we can correct the beauty and health of your teeth with orthodontic treatment if you need for it. 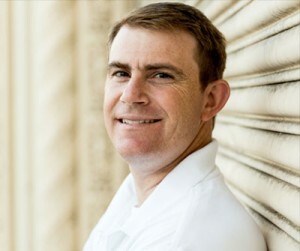 Dr. Larson has the expertise and experience to give you a smile you deserve. There is no reason to believe that your oral situation is beyond help. Our team has aided patients with dental situations of all types who have required orthodontic assistance. Once the treatment is complete, you’ll be amazed at the appearance of your smile. Appliances for orthodontic treatment are generally comprised of ceramic, metal, plastic, or a combination of these substances. Some orthodontic appliances are removable by design, while others may be bonded to the patient’s teeth. In either case, the function of the appliance remains the same. Orthodontic appliance work by exerting force in precise directions to slowly reposition teeth. You may have an image of orthodontics as metal bands that have brackets surrounding each tooth. Those orthodontic treatments are antiquated. Now you can have clear or metal braces (there are even some braces that have color if you desire it). Modern braces wiring is thinner, stronger, and less noticeable. Yet, the best part is the improvement in the duration of treatment. Modern orthodontic treatments have improved and the time required for braces has decreased. However, treatment times will always vary from patient to patient because no one’s oral situation is exactly the same. One of the greatest factors in the timeline of orthodontic treatment is your involvement. If you take proactive and consistent measures to care for your teeth during the treatment phase, your results will be more effective. Of course, Dr. Larson and the team at Yuba City Orthodontics will help you each step of the way. Are you interested in an orthodontic treatment? Contact us today for a free consultation. After your consultation, you will have a clear picture of the whether orthodontic treatment is in your best interests. You’ve probably seen many of your peers who also wear braces. The truth is—it actually not a bad thing; especially when you think of what it will do for your smile in the future. Additionally, modern orthodontics has seen advances in braces so that they are much more comfortable and have less maintenance. Yuba City Orthodontics offers braces in a variety of styles and types that can match your personality. And most braces do not have to be worn as long as they did in the previous generations. Patients that have received orthodontic treatments before their teenage years may have dental procedures that have prepared them for future orthodontics. These treatments are not necessary for every patient and are only recommended when certain circumstances exist. The specific dental correction that is required has a significant impact on the time frame of braces. Furthermore, patients’ teeth react to braces at different speeds. Just because you have friends that may have had long orthodontic treatments does not mean that you will too. We’ve found that our patients average about 10 to 14 months of treatment. How you care for your braces has a great impact on how long your treatment lasts. Patients that strictly follow the direction provided by their dentist and hygienist often have the best and fastest orthodontic treatments. So, if you want the shortest treatment possible, please follow the instructions and care for your braces regularly. 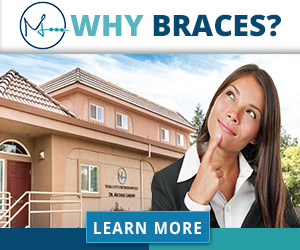 We will help you to understand the advantages and disadvantages of each style of braces recommended. Do you have questions or want to learn more about what to expect during your orthodontic procedure? Feel free to call, email or visit our office. Yuba City Orthodontics is here to help. In our next blog, we’ll cover Invisalign treatments for teens. 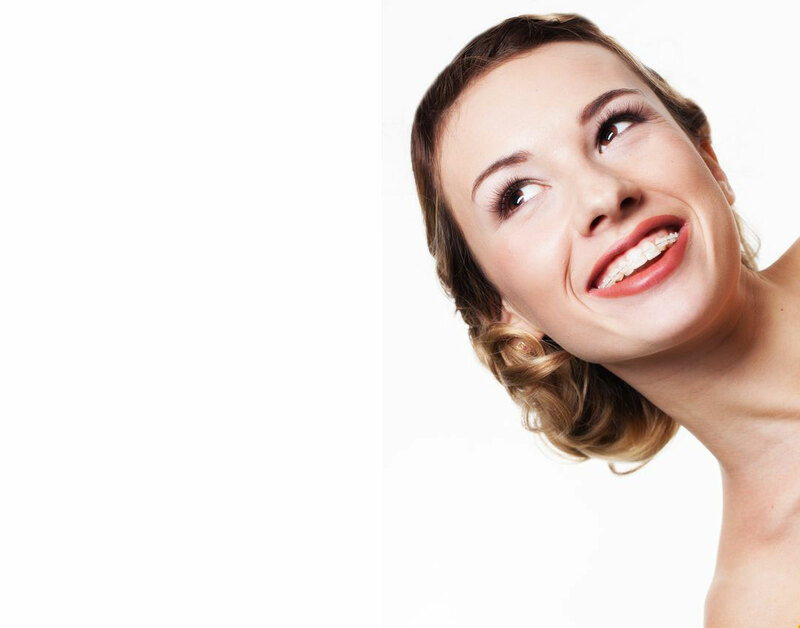 Braces are a great way to achieve a charming smile that reveals beautiful and straight teeth. However, what’s the point of investing all that time and money on braces if your teeth aren’t getting the care they deserve while you wear them?! It is important to maintain your teeth with regular oral care during the time you wear braces. This will ensure that when the braces come off, you can enjoy a beautiful smile and great teeth. Proper care includes having cleanings done and brushing correctly with braces on. 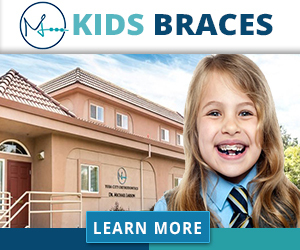 Yuba City Orthodontics offers comprehensive cleanings that are specially designed for braces. Our team also alerts you to trouble spots in your home oral cleaning regimen and shares with you the best ways to counteract long-term problems. Set up an appointment with us today for your cleaning or if you desire braces. (805) 623-7272. 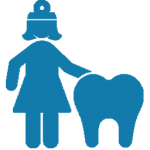 Most of the time both kids and adults overlook oral hygiene care because they are simply not aware of its significance. That is why below, we have discussed the possible consequences of not paying proper attention to your teeth while wearing braces. The following issues can arise whether you wear braces or not, but the risks increase and intensify in people who wear braces but don’t maintain oral hygiene. Gum disease, called periodontitis, is preceded by gingivitis. This is characterized by minor bleeding and puffy and swollen gums, although there isn’t much pain at this stage. The effect this problem has is to make even more space for plaque to develop around your gums, which further worsens the condition. If the initial problem of gingivitis is left untreated, it can develop into periodontitis. In this gum disease, inflammation and infection are seen beneath the gum line. Even the tooth structure, the mouth bones, and ligaments are affected by it. The distance between the teeth and gums will further increase, which in turn will allow more plaque build-ups in the resulting pockets. Patients suffering from this disease eventually start seeing a loss of teeth. Decalcification refers to the formation of lines or white spots on your teeth’s surface. Unfortunately, once they have formed, your teeth will permanently have these spots. This obviously proves the importance of prevention and how properly caring for your oral hygiene can help you avoid such irreversible issues. Dr. Michael Larson DDS MSD and her team at Yuba City Orthodontics works hard with each of our braces patients to help them care for their teeth throughout the process. Correcting your smile without metal braces is possible through Invisalign. What is exceptional about Invisalign is the flexibility that it gives you. Ah, flexibility! This treatment is especially useful if your lifestyle hinders you from using metal braces. The Yuba City Orthodontics team has helped patients of various age groups to straighten their smile with Invisalign. We’d love to help you too! Our patients that qualify and opt for Invisalign are given customized trays that gradually reposition teeth over several weeks. We tailor the trays to each patient by using our 3D imaging and impression technologies. 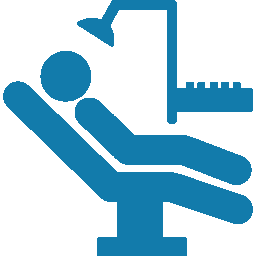 With these on-hand, we can formulate an Invisalign strategy that will address your specific orthodontic need. Each set of Invisalign trays are meant to be used for approximately two weeks. 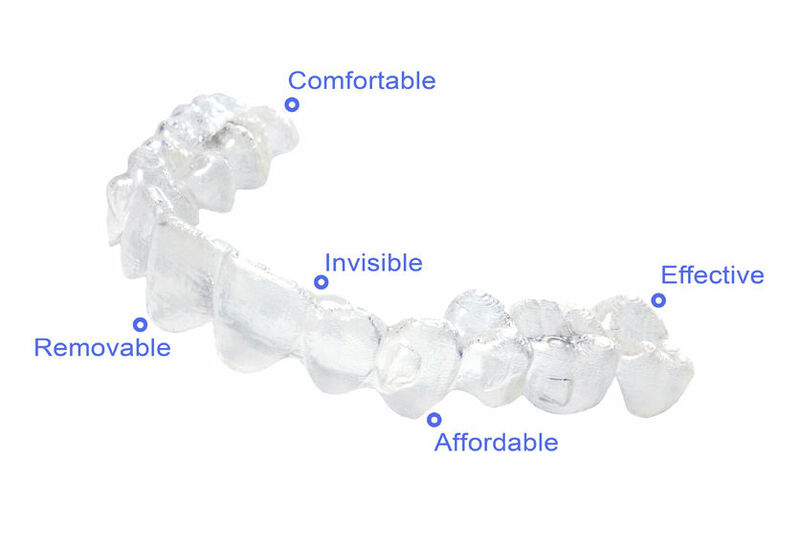 A series of transparent aligners are created to straighten your teeth. In comparison to metal braces, Invisalign wearers have less dietary restrictions. Also, there are no problems with getting food or other substances stuck within braces, brackets, and wires. Invisalign is removable, which allows for greater ease of cleaning teeth, eating and general comfort. Conversely, braces can only be removed by a dentist. Your customized trays are easier to clean than braces. Most patients feel little to no irritation on gums, lips, and cheeks when using Invisalign. Braces take some time to get accustomed to, and moderate to severe irritation of mouth is expected. Before you decide on Invisalign, you should expect to have a dental exam first. The examination will evaluate if you are a good candidate for Invisalign. Each person’s dental health and lifestyle plays a vital role in the success of an Invisalign treatment. Dr. Micahael Larson DDS MSD understands how to maximize the results of Invisalign treatments, so if you are approved, he will give you specific information to aid your progress. If you are ready for an Invisalign evaluation, gives us call. If you or your child have twisted teeth due to any of the above reasons, Yuba City Orthodontics has viable solutions available. We continually serve Yuba City and surrounding communities. In addition to the above reasons, treating twisted teeth improves your smile and will undoubtedly increase one’s confidence. After we perform a detailed examination to ascertain the cause of your twisted teeth, Dr. Michael Larson will create a proper treatment plan. There are several ways to approach twisted teeth, but we will select the ones that best fit your oral health condition, lifestyle, and budget. Of course, if you have questions or concern, we will gladly answer them when we explain the proposed treatment strategy. Sometimes patients experience jaw pain, soreness, tightness in the jaw, or tooth sensation in the morning. All of these are symptoms of a larger condition known as bruxism. Most people that have bruxism are unaware that they suffer from the condition because it typically occurs while they sleep. Two of the main practices associated with bruxism are clinching and grinding. But how can you tell which you are doing if you have symptoms of bruxism? Below is a brief of the information we share with our patients at Yuba City Orthodontics. Outside of having someone observe you in your sleep, the best way to identify if you are clenching or grinding is with the help of a dental professional. Although both issues are bad for your oral health, each one leads to different dental problems. Muscle tenderness in the jaw and facial muscles (sometimes patient feel as though they have been chewing all night). The strain on these muscles makes eating, talking, and even opening the mouth wide very difficult. Significant wear on teeth. The continuous rubbing of the teeth against each other quickly breaks down the enamel. Next, the substructures such as dentin and pulp are exposed. Tooth sensitivities significantly increase as the dentin and pulp are exposed. It can become unbearable to drink hot or cold liquids. Discovering which aspect of bruxism is affecting you is an important step in alleviating the problem. The next step is to seek treatment. 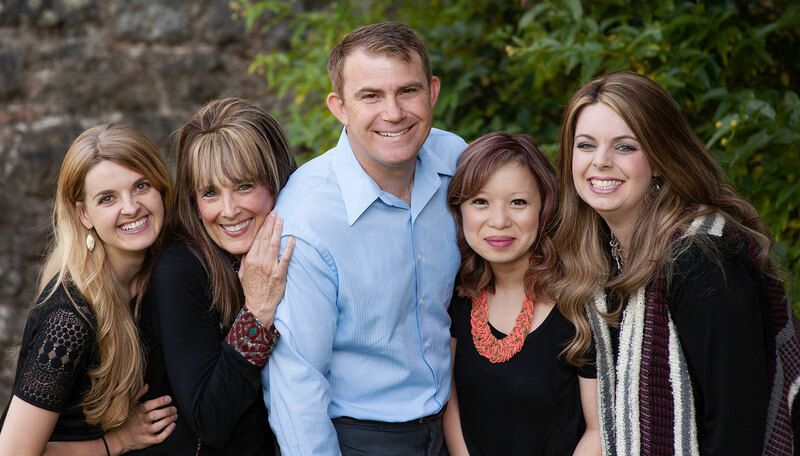 When new patients come to Yuba City Orthodontics, they may have sought consultation from friends and relatives about orthodontic care. With the best intentions, friends and family may offer ideas that are not factual. One such idea is that that oral surgery is a standard part of any orthodontic treatments. Let’s clear up some of the haziness about orthodontics and oral surgeries by answering some of the most common questions about the two subjects. If you have a question that is not listed below or would like further details, call us at 530-674-5047. Do most Orthodontic treatments involve surgery? In most cases, orthodontic treatments are performed without any surgical procedures. However, there are times when oral surgeries are recommended. In these instances, Dr. Larson provides a thorough explanation why the recommendation is given while showing the patient digital x-rays of their teeth. 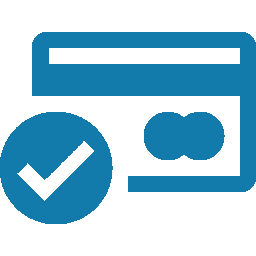 It is our aim to help each patient to have a full understanding of the surgery, how it relates to the proposed orthodontic treatment, and how both will be beneficial to the patient’s health. As a practice, we always avoid surgery when we possible. When Oral Surgery is Recommended, what is the problem typically? If you are wondering if you will need oral surgery, there is no need to guess. Schedule an appointment with us and find out. You may be surprised with what modern orthodontics can accomplish! 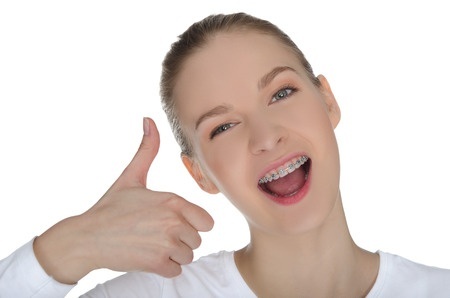 When you think of braces, do you see a mental picture of teenagers or young kids? Many do. While it is more prevalent for these age groups, there is no specific age limit for orthodontic braces. At my practice, Yuba City Orthodontics, our team performs hundreds of adults brace orthodontic procedures every year. Are you wondering if you could benefit from getting braces in your adulthood? There is no need to guess. Give our office a call at 530-674-5047 to get accurate answers to your questions. Once we identify exactly why you need braces, we will formulate the options to meet your expectations and goals. Everyone’s dental “fingerprint” is unique. Hence, I will create a treatment plan that considers every detail of your situation. One of the reasons that many of our of adult patients that opt for braces recommend us is our commitment to full transparency. We want you to understand everything about your treatment including all of the options before you. Instead of only telling you what I recommend, I would like for you to understand the pro and cons of the options as well. Choosing braces can be a big decision. Therefore, I want you to be confident that the treatment chosen was in the best interest of your oral health. Like other dental procedures, there are several myths associated with adult braces. Click here to see the truth about them. As always if you have question or concerns, you can contact me at the address and number listed below.